After spending many years lagging behind Intel’s innovative technologies, AMD’s latest CPU platform promises to bring back the glory days of AMD’s CPU supremacy. At the core of AMD’s latest processors is a technology that’s been dubbed “Infinity Fabric.” This name references a smart engineering tactic that allows a single CPU core to be specially modified to run on both low and high end consumer motherboards, as well as server applications. Just as Intel created their top-tier i9-series processors from their Xeon series boards, the Threadripper CPUs are modified versions of their server core, Epyc. For the first time, this gives consumers access to features like 16 core processing with 32 simultaneous threads, massive amounts of level 3 cache, and a staggering 64 PCI-express lanes. On paper, these processors look like the most powerful consumer-grade CPUs on the market. But can they hold a candle to Intel’s latest batch of processors? To find out, we put them to the test. 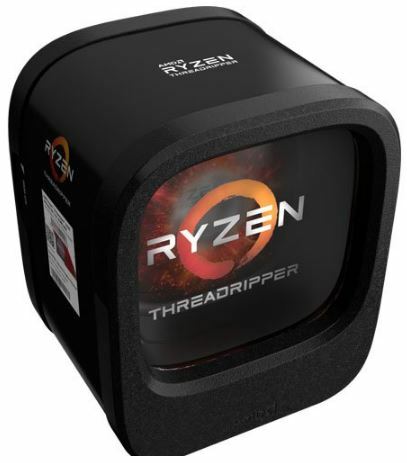 As the top-tier processor on the market, the Threadripper 1950X features 16 cores, 32 simultaneous threads, a 3.4 GHz base clock and a 4.00 GHz turbo clock. As an X-designated processor, any compatible motherboard can bump both the base and the turbo clocks by 200 MHz, provided non-stock cooling is detected. It’s got 64 PCIe lanes and requires 180 watts to power it. The 1950X just barely squeezes into the three-digit price category. 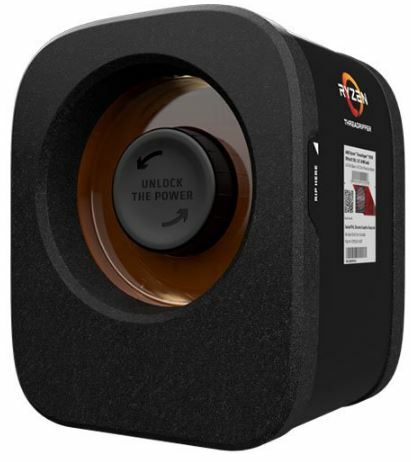 The Threadripper 1920X is a few hundred dollars cheaper, and features mostly the same specifications. At 12 cores and 32 threads, the die is a little smaller. This does reduce heat a little, and allows the base clock to be 100 MHz higher at 3.5 GHz. Meanwhile, Intel’s top-end processors are a little higher in terms of specifications. The i9 7980XE has 18 cores and 36 threads, but a slower base clock of 2.6 GHz. L3 cache is a little smaller at 24.75 MB, and the i9 processors only support 44 PCIe lanes. They are a little more power efficient at 165 watts, and they can attain a higher turbo clock speed of 4.4 GHz. But another value that’s much higher is the price, as the 7980XE costs twice that of the Threadripper X1950XE. The most comparable processor to the Threadripper series would be Intel’s i9 7960XE. It’s got 16 cores, 32 threads, 2.8/4.2 GHz base and turbo clocks, 22Mb of L3 cache, and 44 Pci-E lanes. The Threadripper series still outpaces this CPU a little in terms of specifications, and still comes in at over 40% cheaper. If you want to compare CPUs based on their selling price, the closest Intel offering would be the i9-7900X. 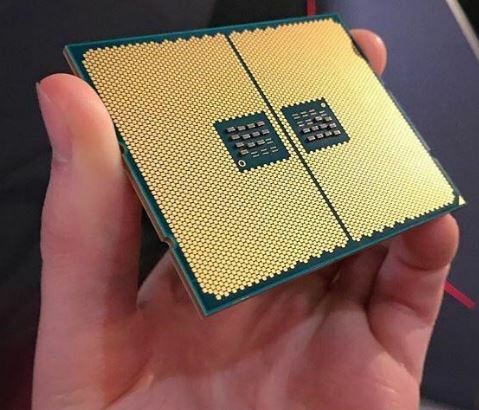 This processor has an MSRP almost identical to the top-tier 1950X. However, this processor only offers 10 cores and 20 threads. It does have a slightly higher base clock of 3.3 GHz and a turbo of 4.3 GHz. However, the cache is halved as is the memory bandwidth. Do higher specifications translate into better real world performance? To find out, we tested them for ourselves. To get an idea of how these processors can perform in the real world, we tried out a number of application specific benchmarks to get a feel for their processors real-world throughput. The first application we tried was 7-Zip, an open source file compression program. We ran the 32 Mb dictionary test – a standard benchmark to see how much data a CPU can process over a given amount of time. When decompressing data, the Threadripper came out ahead. The 1950X and 1920X scored 88,235 and 70,581 points, respectively. Meanwhile, the i9-7900X scored less than 60K points. When it came to compressing data, the tables turned. The i9 scored 57,985 points. The 1950X was close at 57,575 points, but the 1920X was quite a bit slower at just over 50K points. The advantage here is due to Intel’s server grade multi-threading technology which is better for compression tasks. Beside this slight advantage, the Threadripper processors had very clear advantages despite their much lower price. Next we tried the Monte Carlo Simulation in Microsoft Excel 2016. Excel is capable of advanced multi-threaded processes to handle large amounts of data, so this is a pretty challenging benchmark. In this test, we’re simply measuring the time it took to complete a fixed calculation. The lower the time, the faster the processor. 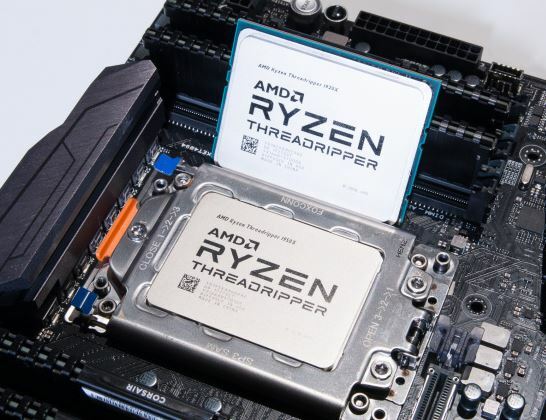 The Threadripper CPUs impressed us in both these tests, with the 1950X and 1920X taking 1.65 and 1.88 seconds to complete the tests, respectively. Meanwhile, the i7-7900X took 1.92 seconds to finish the test. For our last application test, we used Handbrake to transcode a 4k video file to 1080p H.265 format. This is a challenging task for any processor, and we’ll be grading them based on how many frames of data they can process every second. This test was interesting, as Intel processors typically excel at encoding. Encoding programs are usually heavily optimized for Intel processors, giving them a clear advantage. The i9-7900X churned through 18.2 frames of data every second, while the Threadripper 1920X only managed 16.8 FPS. On the other hand, the Threadripper 1950X still came out on top with an impressive 18.9 FPS of data. 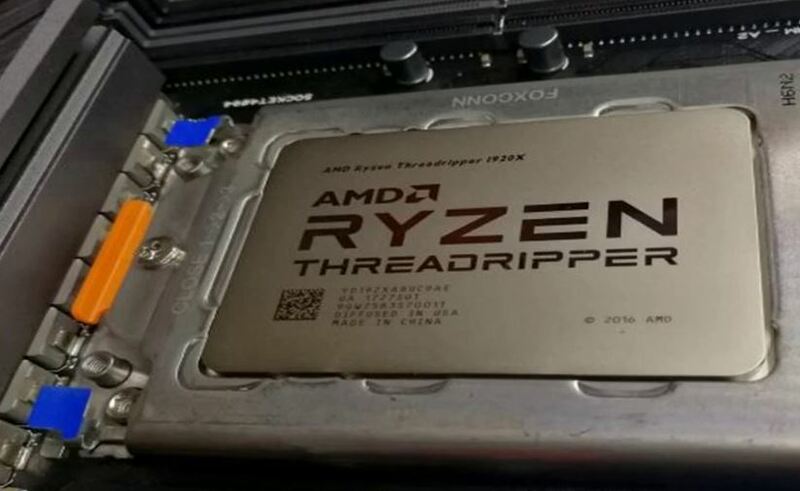 Although many consumers will be looking at the Threadripper CPUs for scientific and calculation applications, a large number of their consumer base is going to be gamers. Threadripper CPUs feature one significant disadvantage in this field. They feature a number of unique technologies that games are not currently optimized for. The most obvious of this is the quad core memory access system, which is coded for “uniform memory access.” This works best for office or data processing tasks. Until games are optimized for it, the performance would actually be worse. To get around this we switched the BIOS settings back to “Non Uniform Memory Access” or NUMA, which should give us better benchmarks for current modern technology. However, as this platform becomes more mainstream, you could see improved performance. The first game we tested was Civilization VI running at 1080p with our GTX 1080. The 1950X averaged 79 FPS, the 1920X averaged 74 FPS, and the i9-7900X only averaged 71 FPS. Off to a good start! When we tested F1 2016, the I-series processors had a clear advantage. The i9-7900X scored a whopping 235 FPS average, while the 1950X and 1920X could only get 165 and 130 FPS, respectively. The same situation repeated itself with Battlefield 1. Our AMD processors managed to get an average FPS of 163 and 159 FPS, while the i9 scored an impressive 182 FPS. The performance of the processors themselves is an important factor to consider before buying, but it’s hardly the only factor. Your processor and chipset determine what kind of hardware you can use in your computer. And this is one of the areas where the Threadripper CPUs excel. If you remember back to the beginning of our article, both Threadripper CPUs support 64 PCIe lanes. With both storage and graphics heavily migrating towards PCIe, this is important for high end computers. With Intel boards, Quad SLI systems come with a disadvantage. You can either run two cards in X16 mode, or you can run four cards in X8 mode. This means that the added benefit of two more cards comes at the expense of crippling your original two. There is still usually a performance advantage, but the cost to benefit ratio is slim. Additionally, quad SLI severely limits your access to any PCIe storage devices. With Threadripper, you can run Quad SLI with two of your cards in X16, and two in X8. This makes for one of the most impressive Quad-SLI systems on the market. If you choose to do so, you can still slap in three NVMe SSDs and have them run at full speed. Currently, all Threadripper CPUs have the X designation. This shows that they have unlocked multipliers. Not only will they all be automatically overclocked (by 200 MHz) simply by plugging in a high end cooler to the appropriate motherboard, but daring users can push them even further with a little work. With our 1950X and our NZXT Kraken X42 we managed to get an impressive 4 GHz overclock. This allowed us to basically run the processor in Turbo mode all the time. We only required a mild voltage increase, which bumped our power consumption from 249 Watts under load to 360 Watts. So you’ll definitely need a better power supply if you intend to overclock, but the options are there. We got a stable 3.9 GHz overclock on our 1920X, coming pretty close to our 1950X. This one used a little less power at only 316 watts under load. In both cases, this seemingly modest overclock resulted in improved performance. The 1950X went from 163 FPS to 192 FPS in F1, while the 1920X went from 159 to 185 FPS. We were also able to shave off 10% from our encoding times. This data demonstrates that the Threadripper processors aren’t processing data quite as efficiently as the i9 processors clock for clock, so an overclock produces pretty significant improvements in performance. These tests paint an interesting picture of where AMD stands against Intel. From a tech perspective, the Threadripper CPUs appear to be neck and neck with Intel’s top-tier CPUs at half the price. But the benchmarks paint a slightly different picture. In Application tests, we compared the two Threadripper CPUs against Intel’s i9-7900X. This processor has much lower specifications than the Threadripper CPUs at 10 cores, 3.3 GHz, and only 20 threads. However, it does command only a slight premium over the Threadripper CPUs. According to our application benchmarks, the AMD processors outperform Intel in almost every test. 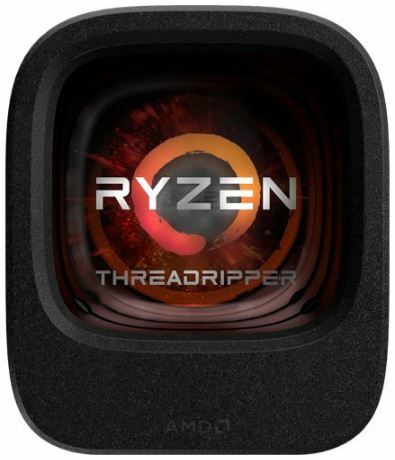 Higher core count, superior multi-threading, and incredible memory bandwidth mean that the Threadripper CPUs provide better value for the money than Intel’s i9 processors. Gaming is another story. Games just aren’t optimized for Threadripper CPUs right now. At best, the Threadripper CPUs will be able to just keep up with Intel’s options. Most of the time, they’ll perform significantly worse. Who Should Buy The Threadripper 1950X and 1920X? The group who will reap the most benefits from Threadripper CPUs is anyone who needs to run CPU heavy applications. Digital media artists, video editors, CAD designers, engineers, or anyone else who relies on enterprise grade hardware will love the Threadripper CPUs. Not only will you save money with Threadripper, but your hardware will outperform Intel based systems. In some specific cases, Gamers could benefit from Threadripper as well. However, the platforms value is limited to high end systems. Until games become better optimized for the platform, your CPU will result is a slight performance hit when compared to Intel CPUs. The upside is that you’re able to install more memory with higher bandwidth, and set up advanced Quad SLI systems. With four high end graphics cards, the advantage will outweigh the CPUs inherent disadvantage. But for dual SLI systems or budget gaming rigs, you’re better off getting a cheaper i7 processor and spending your money on a better graphics card. If you’re set on Threadripper, there are two things you can do to get the most out of your investment. These chips are easy to overclock, and all you need is the right motherboard and cooler. We took a look at the best X399 motherboards on the market. These boards are essential if you want to overclock, and also give you access to the full range of PCIe lanes. For cooling, a decent cooler will win you an instant 200 Mhz boost in performance. If you want to approach the 4Ghz range, a water-cooling system like the NZXT Kraken X42 is a great choice. Regardless of how you choose to set your system up, Threadripper is an impressive piece of hardware. Maybe it didn’t quite live up to all of its hype. After all, it’s not exactly an i9 killer. It just has a few key advantages. But given time, we expect big things from this platform. When Intel released the Pentium 4 processor, performance was often worse than the Pentium 3. This is because software vendors hadn’t yet optimized their applications for the new platform. Just like the Pentium 4, AMD’s Ryzen platform has a lot of hidden potential. Once this platform becomes the standard, you can expect to see pretty big gains from your new favorite CPU.